Voit Real Estate Services is a full service commercial real estate firm that, through its brokerage and asset services professionals working together, provides strategic property solutions scaled to clients’ needs. Voit has owned, developed and managed more than 45 million square feet of commercial real estate, participated in $1.35 billion of construction projects and completed more than $33 billion in brokerage transaction volume. Cassidy Turley BRE Commercial announced that Newport National Corporation’s The Campus development is now 74 percent leased. Terra American Bistro -- a long-time fixture specializing in farm-to-table fare, opened its doors Wednesday at its new location in East County. After being in Hillcrest for 13 years, executive chef and owner Jeff Rossman felt it was time for a time for a change. Moving to the East College District of San Diego, where there appear to be no farm-to-table restaurants, is part of his quest to bring a larger group – and the next generation -- of San Diegans closer to the source of their food. According to a recent study conducted by Kingsley Associates, buildings that achieve the BOMA 360 Performance Program designation have higher tenant satisfaction scores in 47 out of 50 categories relating to tenant relations, compared to commercial office buildings without the BOMA 360 designation. Plants absorb heat as they transpire, provide shade that reduces solar radiation and reflection, can reduce or increase wind speed, and also increase fog precipitation and snow deposition. In summer, trees provide comfortable surroundings by intercepting direct solar radiation and re-radiation from heated surfaces. The temperature change can be dramatic when simply moving away from the sun into shade. In the commercial real estate industry, so much time is spent concentrating on the safety of buildings that it is often forgotten to consider personal safety as well. 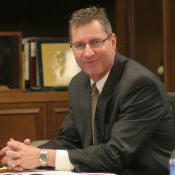 Economic woes and job uncertainty tend to increase the potential for crime, theft and other fraud. Location Matters, a commercial real estate brokerage focused on the sales and leasing of retail properties, announced the transfer of its office space from Sorrento Valley to a state-of-the-art office in Del Mar, after the acquisition of three new associates and plans to build its brand and client base. Benchmarking is one of the most important ways to improve performance in commercial buildings, helping building managers track operational indicators, identify trends and target areas that need improvement. With owners, investors and tenants all scrutinizing the bottom line more closely, tracking building performance is more critical than ever. Every year, BOMA San Diego presents The Outstanding Building of the Year Awards (TOBY), the most prestigious and coveted awards in the commercial real estate industry. The TOBY Awards honor buildings that demonstrate excellence in overall operations and management. All facets of a building’s operations and programs are thoroughly evaluated, including building management, operational efficiency, tenant retention, emergency planning and community impact. BOMA San Diego has met the demand for practical, core commercial real estate management education for entry-level and up-and-coming property professionals with the launch of the Foundations of Real Estate Management courses, now in its second year. The series has already proved successful with 19 course graduates since 2010. BOMA San Diego has partnered with Dress for Success San Diego on a suit and accessory drive to be held on April 12, 2011. BOMA San Diego members will help Dress for Success San Diego in its mission to promote the economic independence of disadvantaged women by providing professional attire, a network of support and career development tools to help women thrive in work and in life. BOMA International is a vocal proponent of making commercial buildings more energy efficient and has rolled out several programs, including its BOMA Stars campaign, to help its members achieve this goal. A wide range of residential and commercial real estate and real estate-centered firms -- such as title and escrow companies -- have either made significant cutbacks or disappeared completely in recent years. Whether or not this trend will continue is open for debate. With consolidations and office shrinkage still going on, now may not seem like a very good time to get into the commercial real estate business. Then again, if you can make it during this trough, you may be riding the crest of a wave in a couple of years. It has been called a "jobless recovery" and while not entirely true, companies have definitely become more economical with their space. Deed recordings in San Diego County may reach 800,000 this year, indicating that there might never be a better time to buy a commercial building. And while expansions are planned in the biotechnology and high technology sectors, the timetable as to when this occurs may not be clear. Eric Northbrook knows that life can change in a split second. Like so many businesses, First American Title has had to change its approach during the lean years of the Great Recession. Jason Hughes, who recently divorced his business from what was the Irving Hughes Group, has retained the staff of the old firm and continues to commit to tenant-only brokerage. 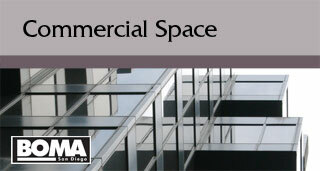 Find out the latest news, views and market trends in commercial remodeling and tenant improvement. This special report looks at local remodeling and tenant improvement projects recently completed or under way.